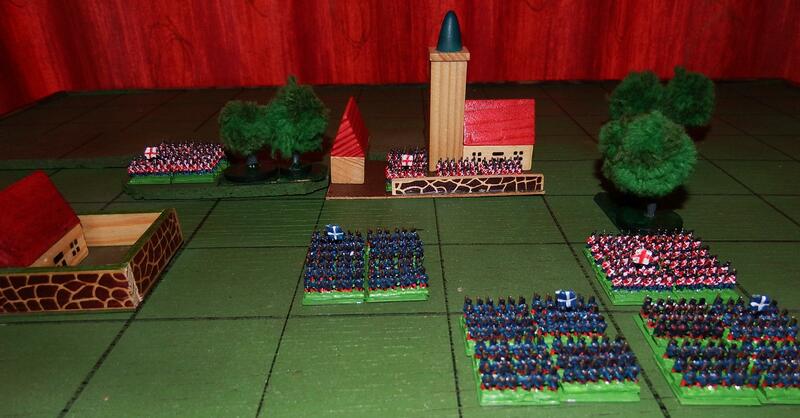 Despite all the problems related in my earlier post I have managed to get six new 72-figure units finished for use in my demonstration battles at Napoleonic re-enactment events. 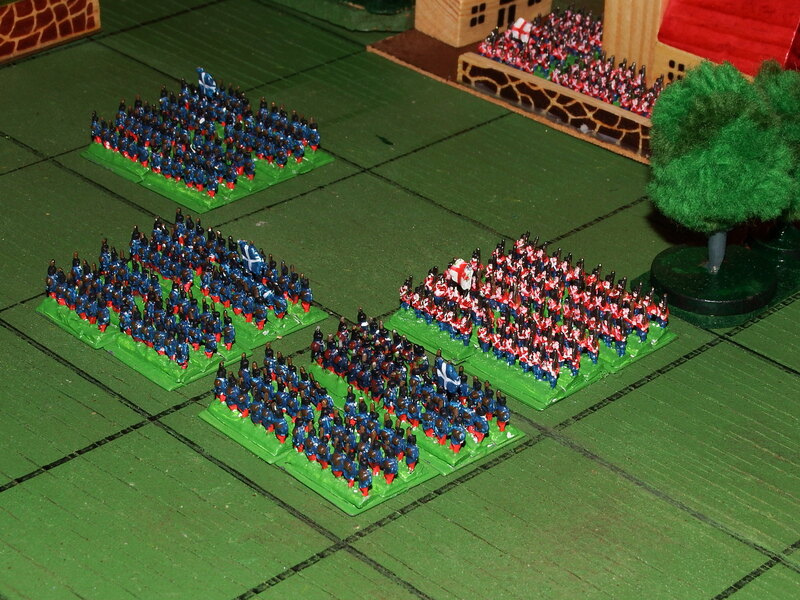 They are standard infantry units for red army and blue army, with four bases of three strips of Irregular Miniatures old-style French Napoleonic Infantry on a 2cm square steel base. The painting is deliberately “toy soldier” style to fit with their natural environment, as seen in the photographs. 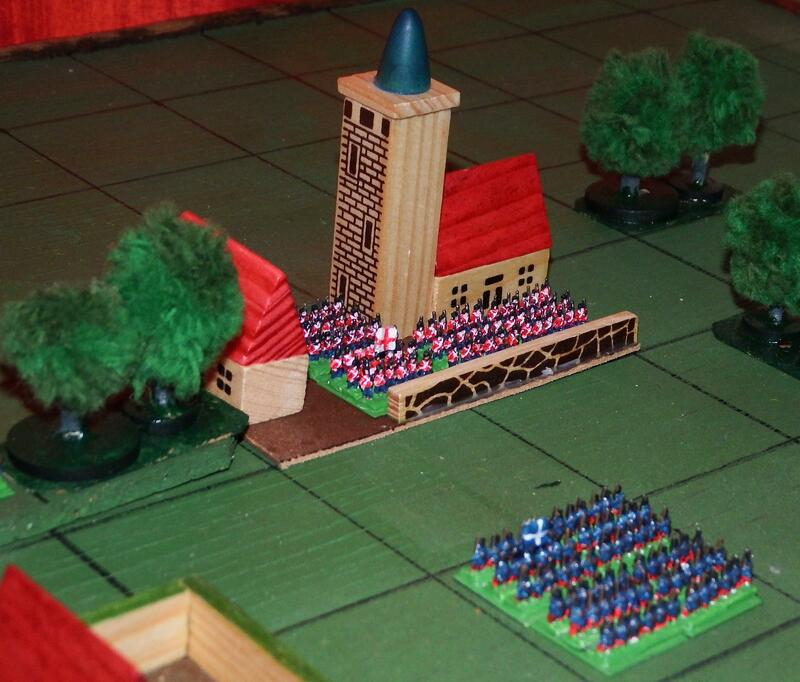 A Blue column prepares to assault a village held by Red. An advantage of this mounting in 3-rank blocks is that the painted strips can be sorted before basing. Those with the best cross-straps go in the front rank, those with the best pack and pouch detail go to the rear and the rubbish goes in the middle rank. Two opposing units come to close contact. Looks like a rogue company from an earlier painting crept into the Blue army for the photo session. Prima Donnas!